It’s your first time pulling up the driveway to what you hope will be your new home. You anticipate that moment with excitement and nearly leap up the front steps. You open the door to a foyer painted in a lively canary yellow, stopping you right in your tracks. After revisiting your mental recollection of Zillow's layout, you realize this “bold masterpiece” was left on the cutting room floor; you would have remembered this color. Personally, I haven’t seen this myself—but color is far more than an aesthetic. It creates a state of mind and emotionally engages us in a profound way. According to an article on Home Health & Color, "Color is a universal, nonverbal language, and we all intuitively know how to speak it," says Leslie Harrington, a color consultant in Old Greenwich, Conn. and a noted expert on the use of color in residential and industrial decor. Depending on the room that you are in, the color needs to be suitable for your surroundings. Here are some phenomenal neutral color palettes that will work in nearly every room of your home. The right grey. This has been a popular trend for the last few years; and for good reason! Greys can be used in multiple rooms of the house, allowing you to place pops of color throughout your décor. If you’ve researched grey, you know it often has undertones of green, purple, or blue. Greys vary based on the time of day and lighting as well. I highly recommend purchasing samples of grey and placing them on various walls prior to making this color commitment. In my experience, the best true grey is Benjamin Moore’s Grey Owl (OC-52). A soft green. Greens are popular in many different environments. This color is easy on the eyes for long durations of time too. Therefore, bedrooms and offices are good rooms to incorporate green. The same is true for blues! Soft blues are perfect and inviting in bedrooms and bathrooms as they exude fresh, relaxing, and clean atmospheres. One of the best subtle greens is Conservative Grey by Sherwin Williams. Despite having the name "grey," this is a beautifully subtle (yet cool) hue of green. A soothing beige/greige. If you do not want to go with a cool tone, such as grey, a perfect choice might be beige or “greige” (which is a made-up color that is now widely accepted). The reason I recommend these tones is because they are highly transitional and go with a number of styles, woods, and interior design. The color is meant be soothing and warm. It is a conversational color—great for a kitchen or living room. In 2016, one of the top colors for balancing beige and greige is Benjamin Moore’s Revere Pewter (HC-172). This color leans beige, but it is consistent throughout the home despite how much natural or artificial light is present. Cape Cod Yellow. Summer may be coming to an end, but a good yellow will last for years! In New England, yellow has the ability to bring out traditional architecture and highlight a home's charm. Yellows are hard to find, so I’ve done the legwork for you. Yellows encourage people to be active and extroverted. These can be good colors for a dining room, sitting room, or sunroom. If selected well, they can add a stunning pop of vibrance. One yellow that I love for a beach house or sunroom is Benjamin Moore’s Mushroom Cap (177). The trick with yellow is to offset it with white trims, and overly neutral design elements. However you spin it, neutrals give you the flexibility to change your mind on seasonal interior design without needing to repaint! I would love to hear about your favorite tones in the comments section below! 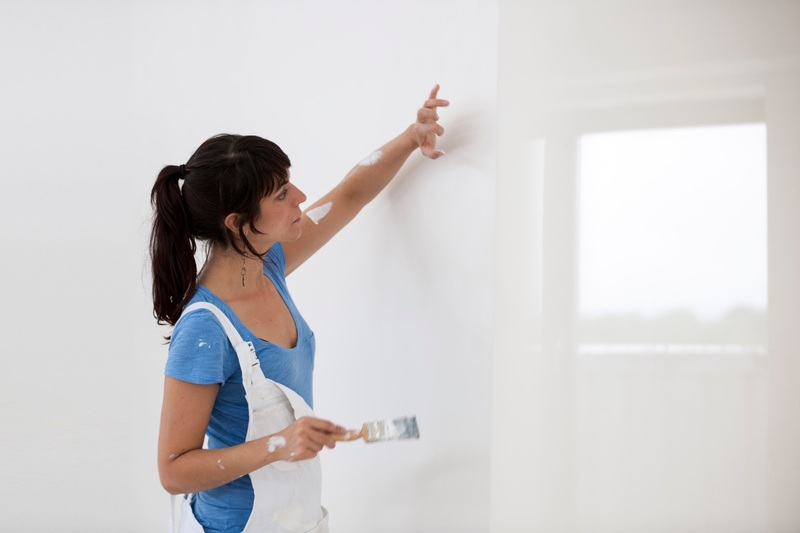 What is a paint color that you can’t live without?